At long last, his unrelenting injunctions became policy, and the Roman legions marched on Carthage. He decided upon a concrete objective. He formulated a Crystal Clear Communication to share his message. He aimed his Crystal Clear Communication at folks who could do exactly that for which he was calling. He appended this Crystal Clear Communication to every larger message he conveyed, to all of his speeches, and I presume, conversations. He repeated his Crystal Clear Communication, without fail, never questioning its merit. As I say in the audio program The Law of Large Numbers, if we do anything enough, we'll get good at it. Do more, and we become experts. Surpass that amount, and we become legends, and absolutely unstoppable. But let's apply Cato's wisdom to sales and service, shall we? What's the key objective for a customer service call? No, it isn't making the call shorter so you can get to the next call, unless you are using a special call path designed for that reason. The objective is to produce recommitment, a stated vow by the customer that he or she is going to do more business with you. Plus, you need to arouse the right tone of voice to confirm that vow. Once you have clearly defined your goal, you begin to separate your service from everyone else's. Different aim=Different results! The great majority of sales scripts and customer service conversations are scattershot affairs, undisciplined exercises in "spraying and praying." They confuse more than clarify, while wasting everyone's time. Much of my telemarketing speaking and customer service consulting is aimed at simplification, cutting away the fluff and confusion. Michelangelo said he didn't create his perfect work, the statue of David. He merely released it from the marble block in which it was captive. Leonardo da Vinci said, "Simplicity is the ultimate sophistication." Do a review of all of your "standard" customer-facing messages, and improve them, now. Salespeople incessantly try to sell to people who are the wrong people, to those who are unqualified to buy, and often to those who are hostile toward the buying process. Cato's message was aimed at senators who could authorize a war, and it was approved. Had he urged the same action in the streets of citizens who had no genuine power, he would have gone hoarse without dispatching a single chariot. It takes a better strategy to identify and then to effectively communicate with the empowered, but it's worth the effort. "What do you do?" is a question that we hear, everywhere. Do you have a proven reply that informs and persuades in every medium? Are you saying one thing at networking mixers, another in your public relations, and a third at your kids' Little League games? Cato wouldn't. Repeat, repeat, and repeat again your Crystal Clear Communication. You're not just convincing others; you're reinforcing yourself! Especially in a challenging economy, we need to marshal every advantage. One of the most overlooked is creating clarity. If we do that, we can build sales and help customers immensely, and profit handsomely, too. 5 Ways to Be Clear, Be Convincing, and Be Done! According to a research study, "Fifty-six percent of employees thought their managers didn't communicate clearly with them and often used incomprehensible language, making them generally less persuasive." Managers were not asked whether those reporting to them communicate clearly, but we must infer if they were, the statistics would be even more alarming. The lack of clear communication in business is costly, resulting in financial losses, disgruntled clients and customers, reduced productivity, missed deadlines, conflicts, de-motivation, diminished credibility, and re-work. Organize your thoughts quickly. Most audiences can remember no more than three points that speakers and writers make. This is why I recommend the PEP Formula, which builds on this principle. Overcome your stage fright, communication apprehension, and writer's block through relentless practice. Seize opportunities to communicate clearly. Remember, when we do that which we fear, over and again, fear strikes out! Translate all jargon immediately after you use it. This is a habit that all technical professionals should develop. Get feedback as quickly as possible to ensure that you made your points clearly. Don't assume it. Don't worry about being dynamic or spellbinding. That comes second. For now, seek to be clear, be convincing, and be done! Get Your Point Across Every Time with Crystal Clarity! How to Explain Anything Clearly in Speech or Writing. I am ready to use effective communication as my quickest path to become immeasurably more understood, productive, and successful! 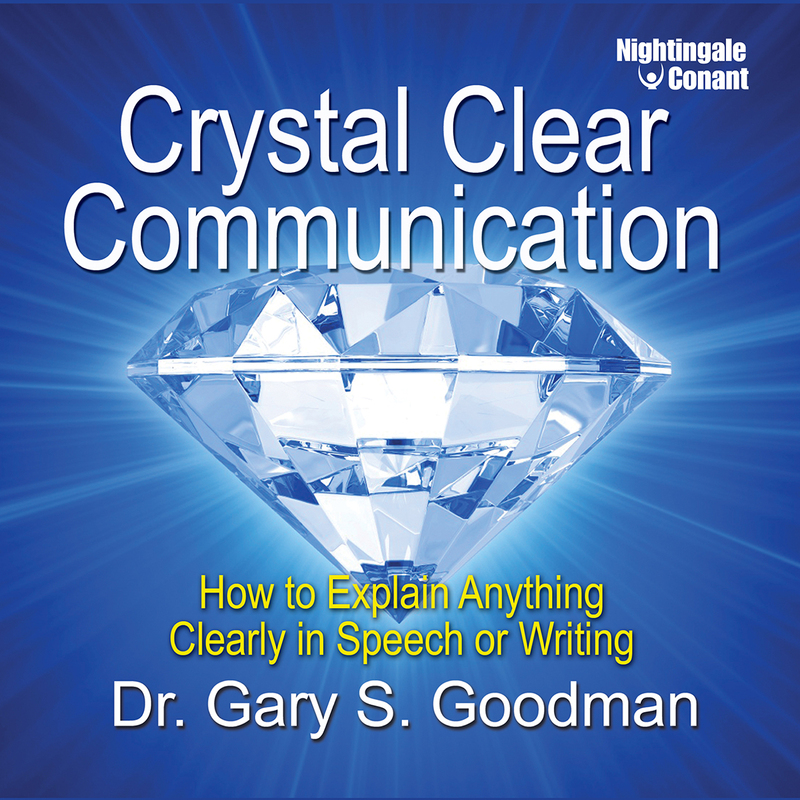 Crystal Clear Communication at the special price below. — I can select one of two ways of ordering.